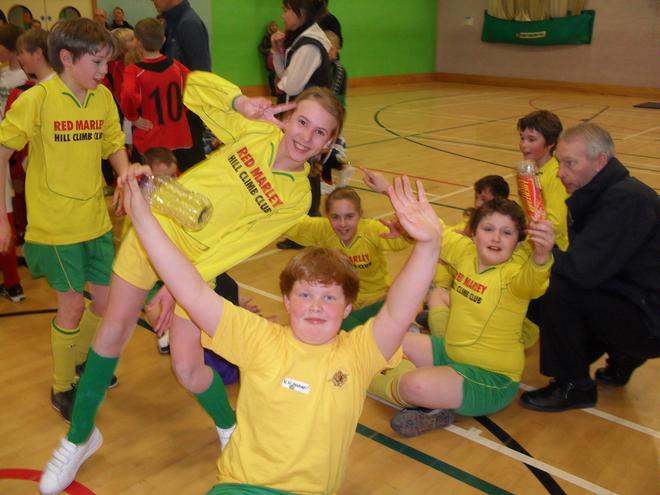 The football team took part in an indoor tournament at The Chantry and won! 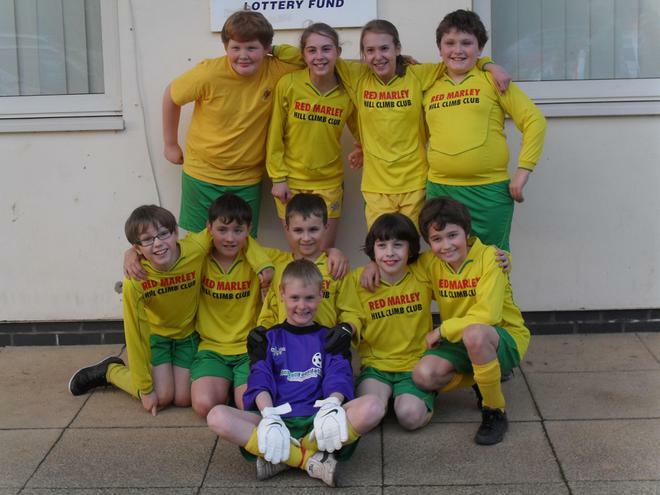 It was a six a side tournament and all ten children - Alex Randall, Dan Edmonds, Sam Galvin, Sam Harris, Gracie Harris, Mia Treadwell, Archie Powell, Jon Coglan, Cameron Leek and James Blissett - played their part in securing the shield. Great Witley beat Grimley, the defending champions, 6 - 0 in their first group game, Martley B 2 - 0 in the second and Lindridge 1 - 0 in the third. They played some scintillating, quick, attacking football which had their supporters screaming with pleasure. As group winners, Great Witley then went through to play Martley A, the winners of the other group, in the final. 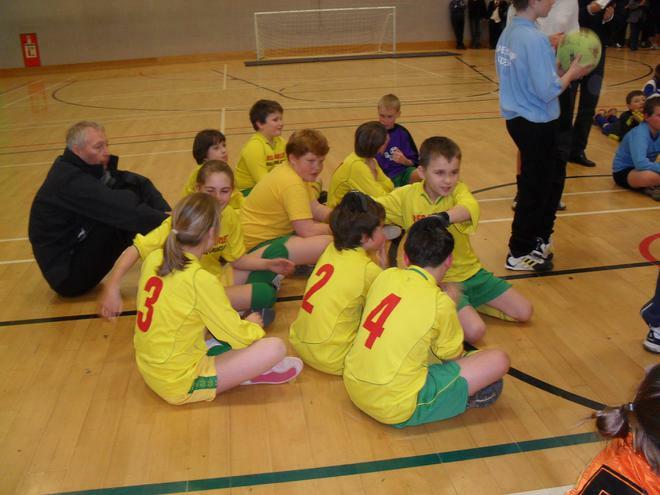 Martley too were unbeaten in their group and had not conceded a goal. The final was very tense and although both teams had skilful attacking players, neither could break through the opposition's defence. It was 0 - 0 at full time, so the capacity crowd was treated to a penalty shoot out. James Blissett stepped forward first and confidently scored. The Martley player then beat Sam Harris with a powerful penalty into the corner: 1 - 1. Cameron Leek then showed his skill by despatching the next penalty, and the Martley player's shot was saved by a very alert Sam Harris: 2 - 1. Great Witley just needed Dan Edmonds to score and victory would be theirs. The pressure was on, but Dan made no mistake with his shot, so Great Witley had won. Congratulations to the children; they all played extremely well, accepted that they could not all play in the final and were very sporting winners. Alex Randall was also selectd by the two referees as one of three Players of the Tournament. Well done!